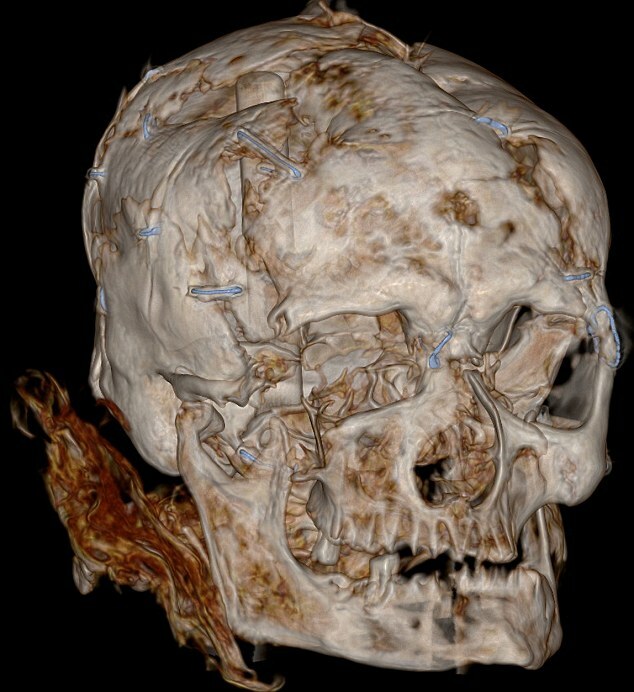 Experts had been divided over how he died - but the new CT scan shows clear marks of the ligature that strangled him. The Worsley Man is thought to have lived around 100AD when Romans occupied much of Britain. 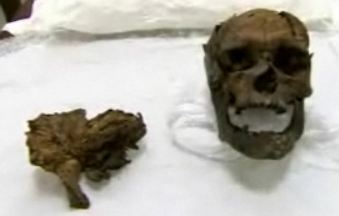 His head has been kept at the Manchester Museum on Oxford Road since its discovery. Museum staff teamed up with doctors at the newly-built Manchester Children’s Hospital who agreed to carry out detailed CT scans on the ancient head. The tests reveal damage to what remains of the neck, almost certainly caused by a ligature. Brian Stich, the museum’s curator of archaeology, said: ‘This really was an extraordinary level of violence. It could be that there was some sort of ritual behind this. Historians have long argued about why the Salford man, thought to be in his twenties or thirties, was murdered, with explanations ranging from mugging to human sacrifice. 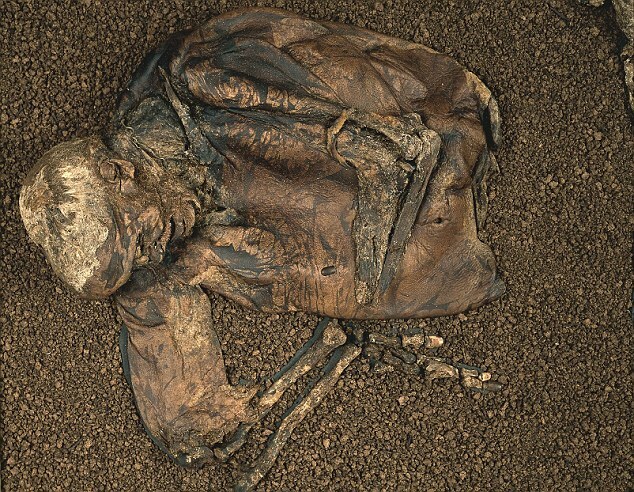 The violent death shares chilling similarities with the famous Lindow Man, whose preserved body was found in a Cheshire peat bog in 1984. Tests suggest the Lindow man, who lived around 150 years earlier, had also been beaten, garrotted and had his throat slit. The violence fuelled speculation that early Britons were able to practise sacrifice under the noses of their Roman occupiers, who had garrisons in Chester and Manchester. The latest scans were carried out at the nearby hospital in the evening when the equipment is not normally used. Ancient-remains experts from Manchester and Nottingham Universities have been helping analyse the medical scans and hope to be able to conduct further tests. Museum bosses praised staff at the hospital for helping shed new light on the historic discovery.